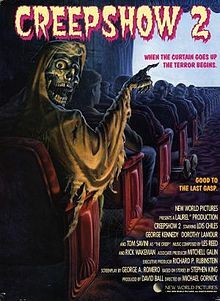 Fans of Creepshow rejoice, especially if you are a fan of 'CREEPSHOW 2' as Ian Vaughan Jones and Witch Tree Films aims to bring you the episode that was never made. Due to budgetary constraints the story 'PINFALL was kicked out of production and it has long been forgotten about. Now that is all set to change as Ian Vaughan Jones Witch Tree Films are hoping to fund a fan-crafted version of the story via indiegogo. Two bowling teams compete for the championship trophy. After a night of murderous foul play, the rival team rise from the dead to seek revenge on the ones that murdered them. Check out the trailer for Witch Tree Films short film below. Help make this project happen by funding right here.